Just like that, the first quarter of 2019 has ended. While the time likely flashed by, make sure you stop, analyze and regroup before you plow ahead with your Q2 strategy. Analyze your own data to determine what worked best for your brand this quarter. Then, overlay those insights with the areas that other companies see the most success in. You just may find a new avenue or marketing tactic to try that could be the secret sauce you’re looking for in Q2. 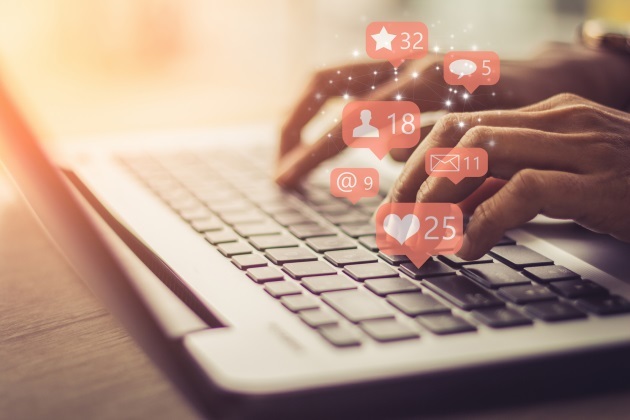 Read on to learn how marketers from more than 1,800 companies are approaching their social media marketing strategy in 2019. Note: All data, unless otherwise noted, is from Buffer Social’s 2019 State of Social report. Instagram Stories are popular, but Story ads are relatively untapped. More than half of businesses (58%) found Instagram Stories effective. While the medium has proven it works, companies haven’t taken the leap to Instagram Story ads quite yet. Only 38% said they’ve used them. Story ads launched in March 2017, more than a year after Instagram introduced organic Stories. At this point, it’s likely innovators and early adopters were the ones using Instagram Story ads. But, this year, the majority could follow suit. Of the companies who haven’t used Instagram Story ads, 61% said they plan to in 2019. You want your business to join the Instagram Story ad world before the majority of companies do! The earlier you test out the medium, the less competition there will likely be. Make it a point to try Instagram Story ads as early as you can in Q2. Beat ‘em to the punch! Start marketing in messaging apps. Speaking of underutilized marketing tactics, there’s a huge opportunity in messaging apps. 71% of businesses do not send any marketing materials via messaging apps, and most (51%) don’t plan on changing that in 2019. While marketers don’t see the channel opportunity, your customers certainly do! 67% of people say they use messaging apps more now than they did two years ago. As they use messaging more, they want you to join the conversation as well. 46% of people said they would like to receive deals over messaging apps while 24% said they’d like to be sent product updates. Businesses find influencer marketing confusing. Like Instagram Story ads, businesses who use influencer marketing know it works. 68% found it to be effective. Yet, 63% of companies haven’t tried influencer marketing. That could be because nearly all (86%) don’t have a specific budget for it, or they may be intimidated. 94% of marketers felt the current guidelines and regulations are simply unclear. But don’t make marketing choices out of fear. Read the Federal Trade Commission’s guidelines, and once you have all the facts, see if it’s worth investing a bit of your marketing budget. The more platforms you test, the more you can deep dive into those that work wonders! Companies stick to the big platforms. Most companies are on the five leading social platforms: Facebook, Twitter, Instagram, LinkedIn and YouTube. While those networks do have the most users, the best social media marketing talks to the right people (not the most people). Analyze the demographics of Pinterest, Snapchat and TikTok to see if your perfect customer is waiting for your there!